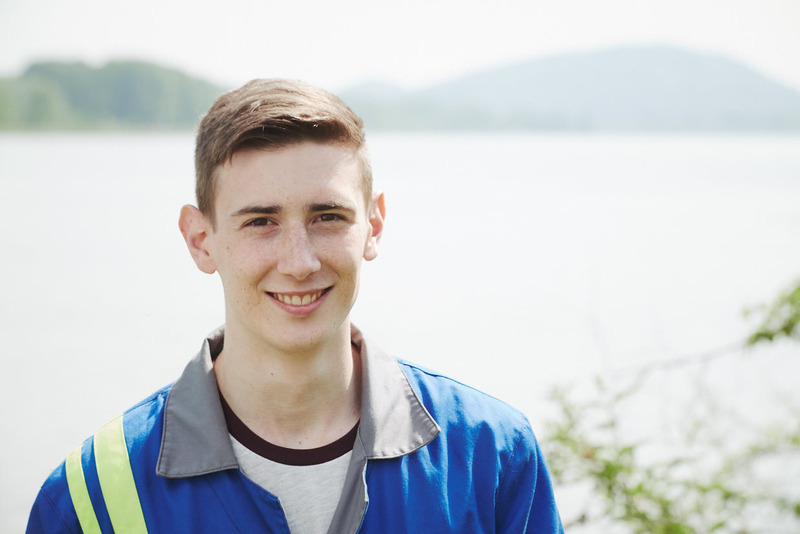 Thomas Schöner is one of the employees at voestalpine helping to protect the environment. As one of the four water analysts in the Technical Service, Testing and Analytics department at voestalpine Stahl GmbH, he tests the wastewater and groundwater daily. “I take water samples and analyze them.” What sounds so simple is actually a highly complex process and requires the corresponding level of training. Thomas Schöner has learned his trade from the ground up at voestalpine in Linz. Here he began his apprenticeship as a chemical laboratory technician in 2012, qualifying three and a half years later. While acquiring this knowledge, he has also become increasingly environmentally aware. “The environment and ecology are important topics for young people. So it’s nice to have a job where you can have an impact and do something worthwhile,” says the satisfied twenty-year old. During his apprenticeship Thomas Schöner worked in several departments within the Group. “You get to see different laboratories, to work together with a range of colleagues, and to understand the connections. That’s what makes life interesting at voestalpine.” He knows that at voestalpine he has not only received excellent technical training, but has also profited from the interpersonal aspect. His colleagues shared their experiences with him and, according to their department and field of activity, their different perspectives. “That means you know so much better what you’re doing and where the samples you analyze come from,” is his positive assessment. "Being interested in what you do makes work so much more enjoyable." “When we receive a sample, then it gets interesting.” There are so many things that could get into the wastewater, or even groundwater: ammonium, nitrites, sulfates, nitrates, cyanide…..naturally none of these should be polluting the water. In short: many legally prescribed threshold limits and regulations must be adhered to and not exceeded. Anyone working in operational environmental protection learns to accept responsibility and to work closely with the other departments. Thomas Schöner enjoys it when work also takes him out of the laboratory, to gather samples from wells, for example, or carry out on-site testing.